The meditative state of mind during Tai Chi, coupled with movements and breathing is said to dissipate stress and anxiety, which helps relieve pain caused by psychological and emotional factors. We use Tai Chi and its link with the mind to help relieve chronic pain conditions, which enhances our provision for people suffering with long term pain. Amritah Lutchanah began studying Martial Arts in 2001 and qualified as a Tai Chi Chuan and Qigong instructor with the Chinese Internal Arts association in 2007. She is a member of the professional body, Tai Chi Union of Great Britain. Beginning her career in 1994 within the NHS as a nurse Amritah worked in a variety of settings across London and the South East. During this time, she studied to become a reflexologist and therapeutic massage practitioner. Since qualifying as a Tai chi instructor, Amritah has worked extensively on a variety of therapeutic projects. An interesting role she undertook was as an instructor for the Royal Berkshire NHS Foundation Trust for their falls prevention clinic. Working closely with the physiotherapy department she developed a range of tai chi-based exercises to improve clients’ strength, balance and confidence. Amritah was asked to contribute to a joint- run project with Reading PCT, Age UK and Sport England. She helped to design, set up and manage community based Tai Chi classes addressing issues of social isolation in older people and falls prevention. 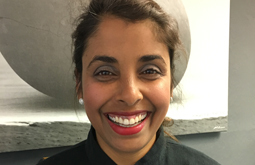 Amritah has also gained considerable experience working within the private field and has successfully worked with clients to manage and improve a broad range of health issues. She has gained considerable experience in treating sports injury, chronic pain and postural imbalances. Amritah can teach exercises to assist clients to identify where they hold residual tension in their body and further, facilitate meaningful change through Tai Chi and Chinese Internal Martial Arts. Amritah enjoys nature and especially her garden. It is the perfect setting for her to practice a little rest and relaxation at the end of the day.